More than ever before, customers are driven by convenience; they want what they want when they want it, and where. And, so, to keep up with consumer demand, restaurants and convenience stores need to begin serving up their offerings outside of their own walls. The term “off-premises” refers to delivery, takeout, and catering experiences. An off-premises interaction is one in which a customer is receiving and consuming food or goods outside of the restaurant or c-store. The challenge for c-stores, and for restaurants especially, is to maintain the positive brand experience—and collect the essential customer data—when the entire interaction is taking place outside of their walls. Consider all of the conveniences that are available to modern consumers. They can wake up, make coffee with beans that were delivered in one day through Amazon Prime, shave with a razor from Dollar Shave Club, and get dressed in an outfit that was delivered in this month’s Stitch Fix box. As they ride to work in a prepaid Uber, they can browse articles on their phone courtesy of an online subscription to their favorite newspaper. After returning home, they can make dinner from a Blue Apron kit while listening to commercial-free music via a Spotify premium account, and then take a spin class as part of their ClassPass subscription. As consumers, we’ve become used to subscription-based services in every aspect of our daily lives. The subscription business model has grown rapidly, increasing sales from $57 million in 2011 to $2.6 billion in 2016. 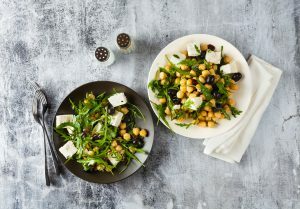 Throughout the restaurant industry, several brands have successfully introduced subscription-based meals, with Olive Garden’s Never Ending Pasta Pass being a prime example. A limited number of guests could spend $100 for an eight-week pass or $300 for a full year, entitling them to unlimited servings of pasta, soup, salad, and breadsticks. Since customers are accustomed to paying for subscriptions, more restaurants are offering subscription-styled packages. While some emulate Olive Garden in requiring guests to pay a lump sum for unlimited benefits, others, such as HuHot Mongolian Grill, have given guests the option to buy meal passes in quantities of 5, 10, or 20. 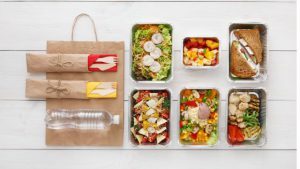 There has also been an emergence of third parties like MealPal, a service that allows customers in major metropolitan areas to buy 12 or 20 prepaid lunches and redeem them at any of its participating locations. Repeat Customers: When guests purchase a package of prepaid meals, it guarantees return visits to your restaurant instead of the competition. Guests who buy their meals in advance are going to make sure their money doesn’t go to waste. Sales: When you sell a 10-meal package, the profit is realized immediately rather than over the course of someone’s next several visits. When these guests return, they can often be enticed to buy add-on items because they tend to forget about the initial cost and will be spending very little on that day. Loyalty: These multi-meal passes can be integrated with your restaurant loyalty program, letting guests continue to earn points and allowing you to gain valuable insights from changes in behavior. Driven by the coming-of-age Gen Z, there are increasing numbers of diners who prefer dishes containing plant proteins at least some of the time. These flexitarians may no longer be satisfied with the old-standby vegetarian entrées like pasta or salads. To keep up with demand, restaurants from fast-casual to fine-dining are introducing more vegan-friendly options. Since customers can easily go online to scan menus and ratings, expanding your offer base to be inclusive of these various diets can help differentiate your restaurant from the ones above and below it in the search results. 1) Offer complimentary tastings of potential new items. Select one of your locations and invite some of your best guests to form a focus group. In addition to making them feel special and that their opinions are valued, this will give you important feedback. 2) Deploy real-time surveys to guests purchasing new plant-based items on your menu. Your loyal guests are likely to provide their thoughts on areas that need improvement. By making every interaction with your guests meaningful, you can extract valuable information and use it to keep them coming back. 3) Reflect your excitement about potential new offerings on social media and through email blasts. Some of your lapsed and low-frequency guests may have reduced their visits because your menu didn’t fit their dietary preferences. If they’ve ordered vegetarian entrées in the past, let them know about your recent additions and give them an offer to sweeten the deal. Facts and figures are easy to come by for any guest engagement platform, be it loyalty programs, e-club programs, or CRM. But what are the key measures that marketers can rely on to deliver material impact with the customer engagement program? Running more than 350 programs has provided Paytronix with a clear understanding of what works and what doesn’t, telling us where to focus effort for the greatest impact. Enrollment: Adding new members drives program impact. Although some members will inevitably move on from your brand for a variety of reasons, the key is to add more than you lose. Enrollment can be encouraged through numerous marketing strategies, including promotions and cashier contests. You should also make it easy for guests to join by offering mobile apps, text-to-enroll, NFC loyalty, and website enrollment. Activity: It takes active members for a program to maximize its potential, and the level of activity provides a multiplier effect on the amount of impact. Having a frictionless, guest-centric, fully supported program will result in a high percentage of active guests. Your program should offer attainable benefits and make it easy for guests to interact with the brand. Implementing well-thought-out customer engagement strategies will provide the best results on your program’s success. Triggering: The extent to which your team can trigger incremental spending is directly related to the impact your program delivers. Incremental spending is primarily measured in two ways, with the first being an analysis of pre- and post-program transactional data. How were the members behaving before the program launched and what are they doing post-launch? Typically, Paytronix programs see at least a 20% increase in spend after the launch happens. Penetration Rate: The percentage of checks associated with a guest who identified as a member is the penetration rate. This is an important measure because the higher the penetration rate is, the more opportunity the brand has to drive impact with the program. If the penetration rate dips below 15%, the brand should be alarmed, as programs with low penetration rates generally underperform on all organization expectations. Paytronix clients routinely achieve penetration rates of 47–70%. Brands that focus on these four measures deliver the greatest impact to their organizations. Visit us at www.paytronix.com to learn more.